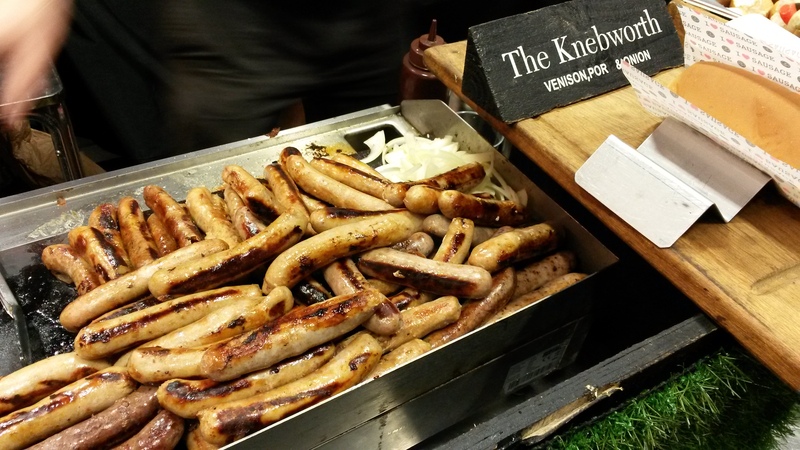 Foodies Festival is at the EICC this weekend and thanks to Crabbie’s, I have been for a preliminary scout to find out what’s worth seeing whilst you are there. 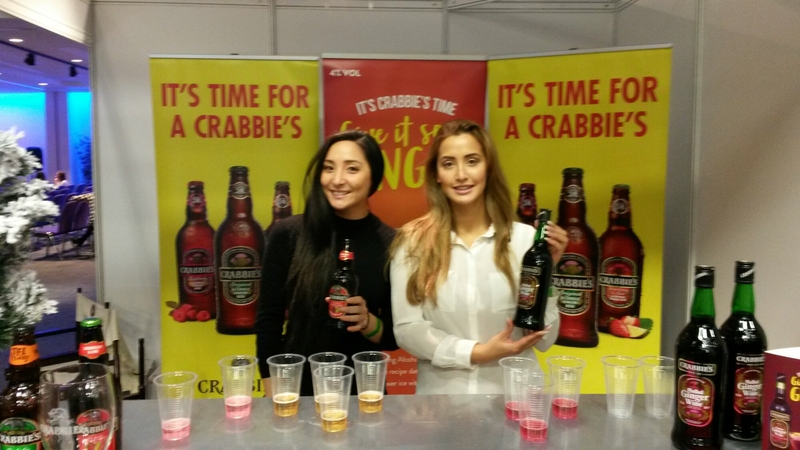 First up, a warm welcome from Jane and Jackie at the Crabbie’s Alcoholic Ginger Beer stall, in the main hall, straight ahead and on your right. 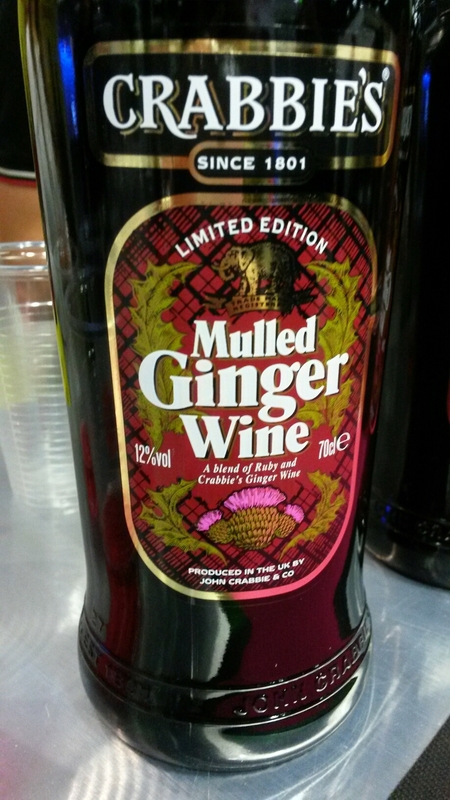 We arrived and I tucked straight into some of their mulled wine, of course with a hint of ginger, my first of the season and totally delicious! 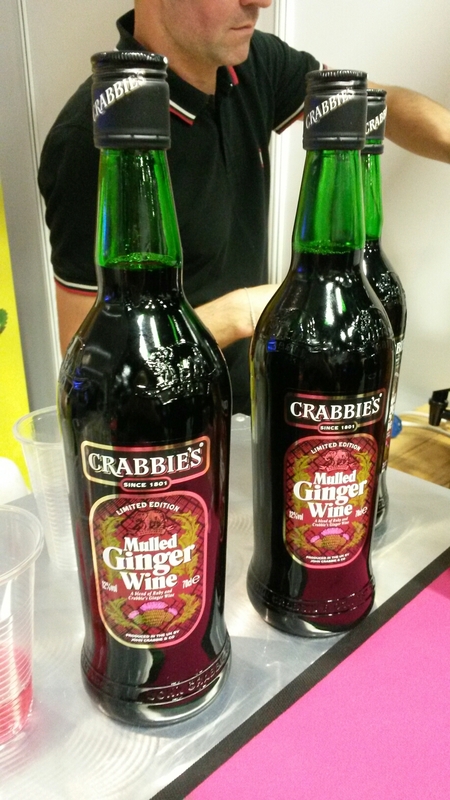 We also tried some of the alcoholic gingerbeer, starting with the Lime and Strawberry and moving on to the Raspberry, a great winter option for those whole enjoy a fruit cider in the summer months. 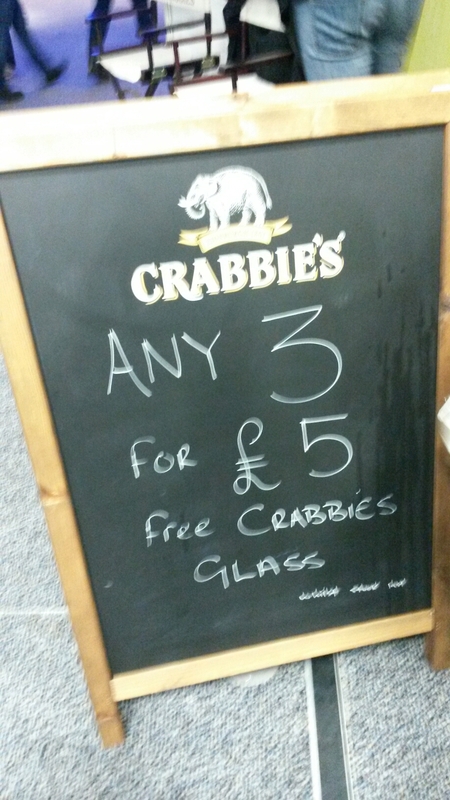 This weekend you can get all three for a fiver, perfect secret Santa gifts or something different to take to a Christmas party over the festive season. 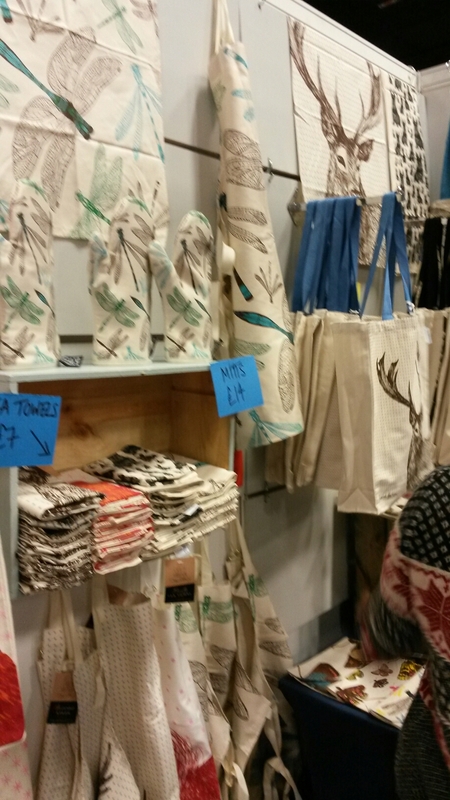 Just round the corner we found these gorgeous bags by Cherith Harrison. Perfect shoppers for all your foodies treats, and brilliant gifts for friends and family abroad as theywill pack away to nothing. 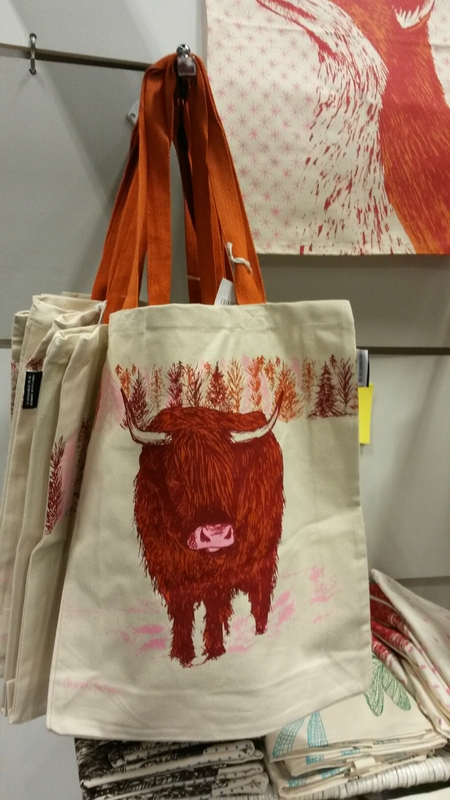 I loved the Highland Coo, and all her designs come in tea towels, make up bags, aprons, mugs and more. Charlotte is an independent designer and has been working on her designs for about three years whilst working full time, taking the plunge last year to concentrate on her gorgeous business full time. Based in Edinburgh, this girl is one to watch and support! The lovely folks from Shetland Reel Gin have a stand in the artisan exhibition room and this weekend you can get your hands on their latest creation, Shetland Reel Gin Ocean Sent. 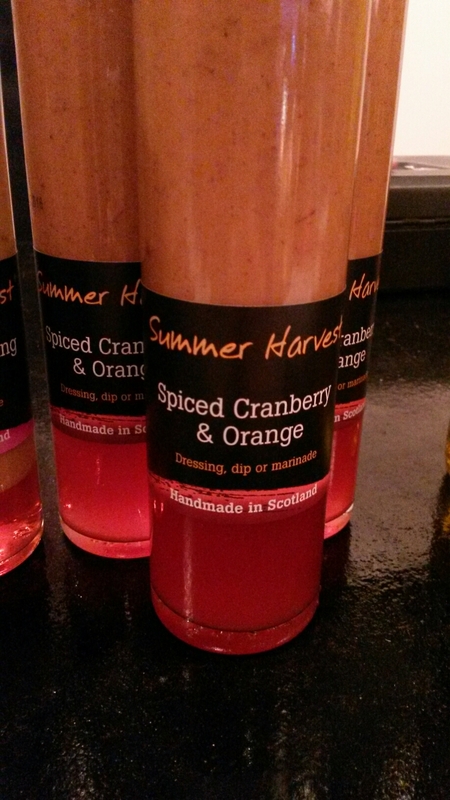 That’s if you are a quick, it’s not get available in shops so it’s limited stock at Foodies! Reccomended service is with Fever Tree tonic and corriander. 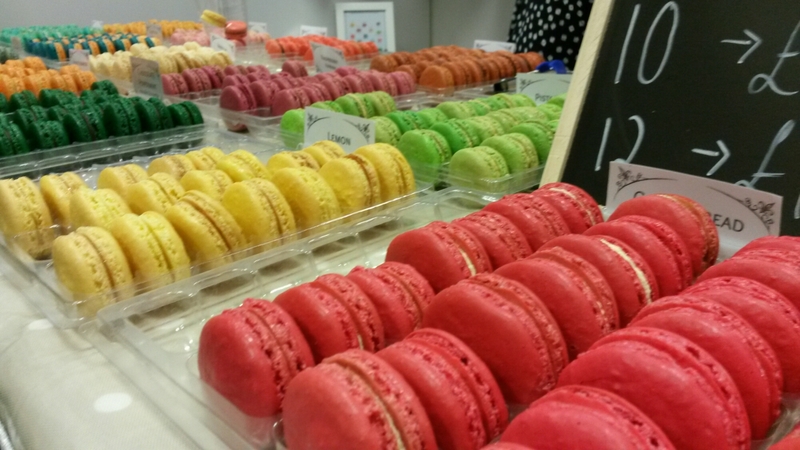 Rachel and her delicious macarons cab be found in the main hall. More flavours than you could dream of, including all your favourites plus Earl Grey & gin, these macarons are little bites of heaven. 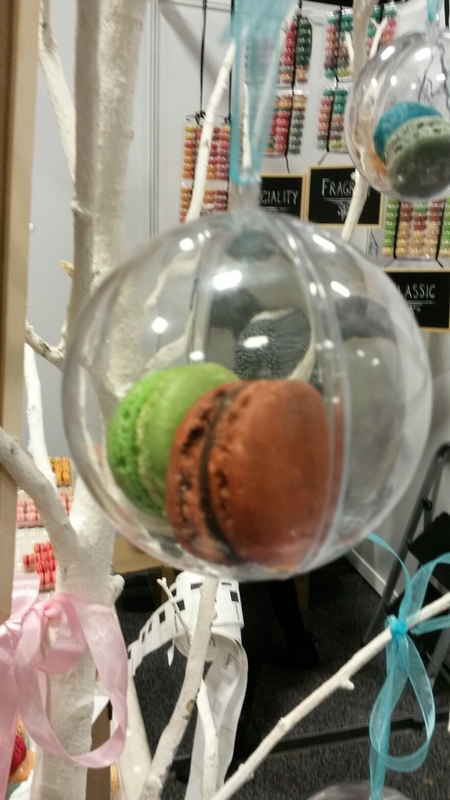 For Christmas Mademoiselle Macaron will hopefully be selling these fab macaron baubles from her shop at 22 Grindlay Street in Edinburgh. Credit for this reccomendation comes from my best friend and Foodies partner, Christine – daughter to Zimbawian parents and biltong crazy. I hadn’t tasted it before, and now I’m wondering why. A delicious South African delicacy, if you’re not familiar with what exactly it is, this is straight from the Limpopo guys: “raw fillets of meat cut into strips following the grain of the muscle, or flat pieces sliced across the grain. 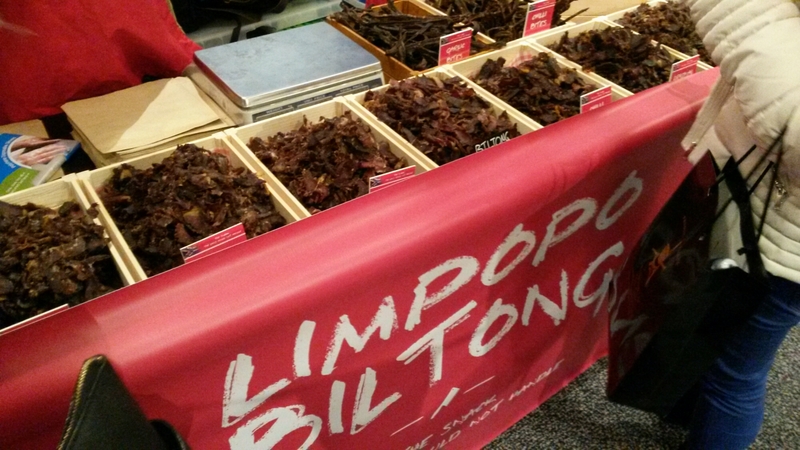 It is similar to beef jerky in that they are both spiced, dried meats, but differ in their typical ingredients, taste and production process.” A must try for for charcuterie lovers, Biltong had a great intense and tender flavour. I tried the original flavour and my partner in crime was brave enough to try the extreme chilli, she handled it well, I was not so brave! 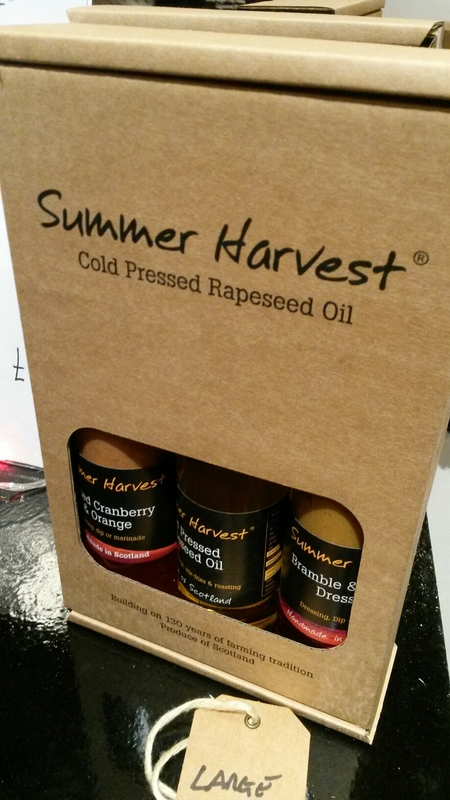 These guys are fairly well known now for their fabulous, cold pressed rapeseed oil, all made in Scotland. I love everything about them from their branding and package, to their flavour range and the oils’ versatility. We tried their newest dressing, spiced canberry orange. It is like Christmas in a bottle! A fab edition to a side salad at this time of year, and I think it would work well as a dip for mini pigs in blankets too. These oils and dressings are packaged beutifully and come in lovely gift packs – nice stocking fillers for the cook in the family. 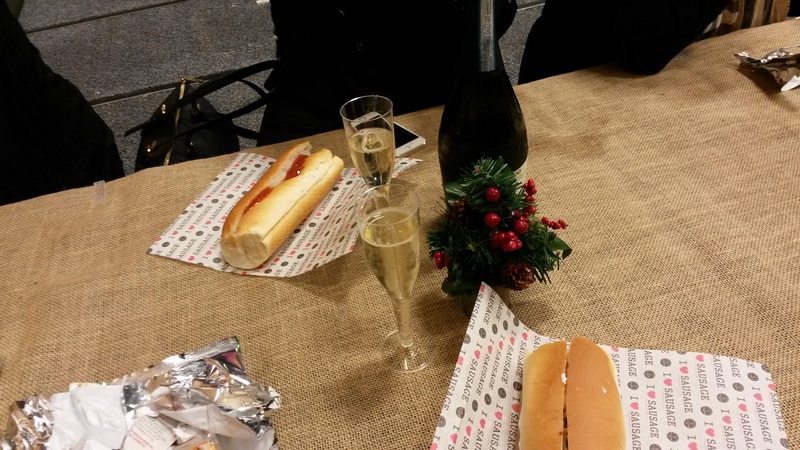 We finished up with a bottle of fizz – word on the street is you can get a bottle for £12 in the Artisan Producers Hall – we paid £15 for ours in the main hall, accompanied by two sausage rolls. I opted for venison which was spot on. Could have done with some fried onions in the mix, but it had been a great evening so I am not complaining! I’ll be back on Sunday as this is just tiny sample of some of the lovely producers you will find there. Make sure you check out the demos and plan your trip around them as their are some fabulous Chefs speaking over the course of the weekend. I’ll be making a beeline for Jamie Scott, Masterchef winner 2014, on Sunday. You can see the full list here.